When time is of the essence, Silver Ships vessels have the speed to quickly respond to an emergency. Our vessels are built with durability in mind, so your vessel will last for decades. 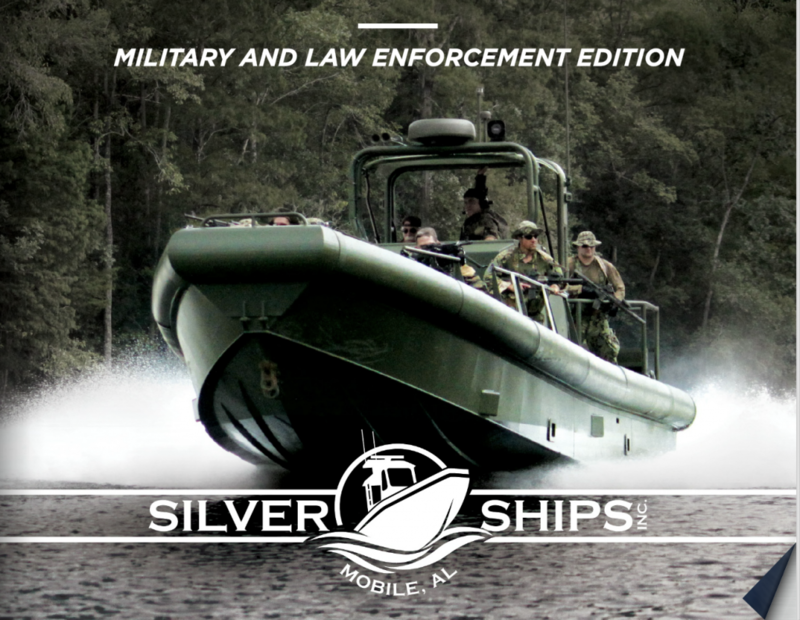 Silver Ships all-aluminum patrol boats are designed and manufactured to accommodate versatile law enforcement missions. Whether your task is policing safe practices for recreational boaters, fisheries enforcement, search and rescue or any other patrol mission, we have a solution for you. Silver Ships is a long-time member of NASBLA and regularly attends its annual conference. Ready to take the next step when it comes to patrolling your waters, but need funding assistance? Various grants are available according to your department’s circumstances and needs. This is an Ambar Series vessel built for the New Hampshire Marine Police Department, and features a 300 HP Mercury Outboard.